Richard Holbrooke was always in motion. The one occasion I caught a glimpse of him was a panel discussion where he spoke alongside Zbigniew Brzezinski and Brent Scowcroft (Henry Kissinger was scheduled to participate but cancelled at the last minute). Sitting shoulder to shoulder with the foreign policy mandarins of the 20th century, Holbrooke was in his element. But as I ducked out of the packed auditorium early, out a few steps ahead of me in the hallway strode the pinstriped man himself. Prematurely departing his own event, he had stepped off the stage as Scowcroft was in mid-sentence. Our Man is the story of a man who couldn’t sit still; the people, places, ideas, and events he somehow managed to pack into his sixty-nine years spanned half a century of his country’s history at the pinnacle of its power. In capturing the essence of Richard Holbrooke and the era he embodied, George Packer portrays a figure far more fraught than I ever imagined. Packer reveals, for example, how Holbrooke’s insatiable appetites early on came between him and Anthony Lake as the two men started their careers together in the Foreign Service in Vietnam. They had been best friends, but Holbrooke’s infidelity irreparably damaged their relationship, nurturing an enduring disdain for his brash selfishness. Lake, serving as a chief foreign policy advisor to the presidential campaign of Barack Obama forty years later, would help ensure that Holbrooke was excluded from the senior ranks of the new administration. As the book delves into the intervening years of Holbrooke’s life, more troubling signs of his character emerge. In Bosnia, he employed his legendary combination of diplomatic skill and sheer force of personality to end the war and secure a peace agreement between the intransigent leaders of the former Yugoslavia. Yet, according to Packer, he distorted facts surrounding the most tragic chapter of the negotiations, the accident on Mount Igman outside Sarajevo that claimed the lives of three members of his delegation. Our Man describes how Holbrooke exaggerated his and Wesley Clark’s role on that fateful day and overlooked that of Lieutenant Colonel Randall Banky, who in fact had been the first to reach the crash site and assist the victims. After Holbrooke wrote Banky’s heroism out of history, the lieutenant colonel was passed over for promotion, ending his military career. Our man uncovers so many unflattering aspects of Holbrooke’s professional and personal life that in places it is painful to read. He appears as the lunch partner who always managed to pass the tab off to someone else; the banker who, after spending all his years out of government safely ensconced in the world of high finance, was at a loss to manage his own finances; and the grandfather who might not have been able to recognize his grandchildren. These stories are as abundant as they are uncomfortable, but nonetheless are parts of a vividly detailed non-fiction narrative that aims to capture its subject in full. Above it all, Holbrooke kept his sights on securing the place in history he always yearned for. After eventually landing a job in the Obama administration as Special Representative for Afghanistan and Pakistan, he told colleagues that “every administration needs a George Ball”, the prescient Under Secretary of State who had been the lone voice of dissent over the escalation of the war in Vietnam during the Kennedy and Johnson administrations. With Ball as his lodestar, Holbrooke envisioned playing an analogous role for a new president preparing to grapple with a growing insurgency in South and Central Asia and deliberate over a troop surge. But Our Manmakes clear that, despite Holbrooke’s qualifications, events showed him to be ill-suited for the Obama White House. His obsequiousness irritated Obama, as did his histrionics (after Holbrooke dramatically compared Obama’s looming decision over force levels in Afghanistan to Lyndon Johnson’s decision to deploy combat troops to Vietnam, the President asked incredulously, “Richard, do people really talk like that?”). Fearful of losing the support of his last remaining patron, Secretary of State Hillary Clinton, Holbrooke muted himself and refrained from forcefully highlighting the perils of an open-ended military commitment without a viable political strategy. Richard Holbrooke was no George Ball. But he still possessed vastly more experience than anyone else then in the White House Situation Room. The last of his generation, the veteran diplomat had witnessed the limits of American power firsthand decades earlier as a Foreign Service Officer overseeing the American pacification effort in the Mekong Delta. Holbrooke carried those lessons with him his entire career. Yet they still were fated to culminate in its greatest tragedy when, half a century after Vietnam, he was unable to prevent his country from repeating similar mistakes in Afghanistan. A passionate student of history his entire life, in his twilight hour Holbrooke became a prisoner of it. History never would yield to Holbrooke’s lifelong ambition of becoming secretary of state. Some who knew him, such as former Deputy Secretary of State Strobe Talbott, have held that a Gore administration would have included Holbrooke in the number one job in Foggy Bottom. But according to the then-vice president’s top foreign policy aide, Leon Fuerth, Holbrooke simply had more enemies and brought more drama than Gore had been willing to tolerate. In the end, Holbrooke’s immense talents were ultimately undercut by his profound shortcomings; they make the story of his exceptional life as tragic as it is fascinating. 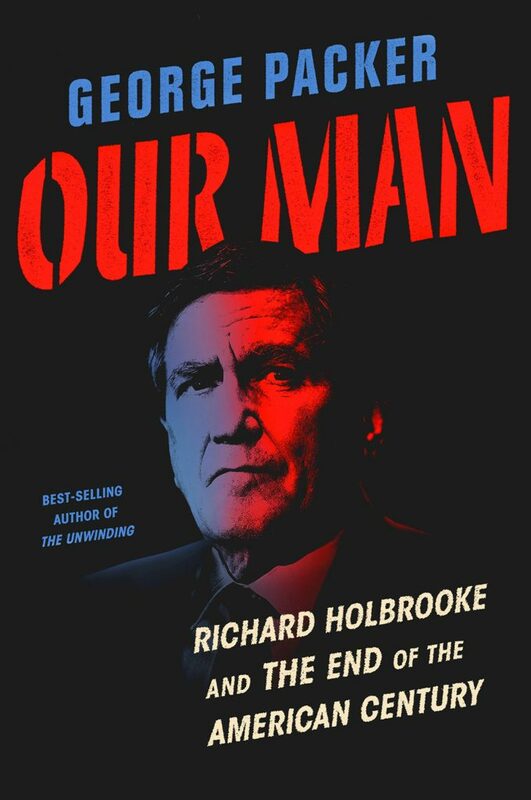 “Better to write a novel about Richard Holbrooke than a biography” his best friend, Les Gelb, once said. Packer has proven how right Gelb was. About the author: Rennie A. Silva is a Foreign Service Officer with the U.S. Department of State. The views expressed are his own and do not represent those of the U.S. government.